Rent villas and apartments in Santa-Maria-Poggio, Corsica with private pools. Book affordable holiday rentals that are near a beach and golf course. 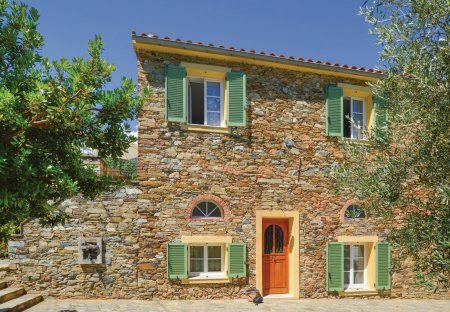 This spacious six bedroom holiday home comprises two apartments - each with a private entrance. Both apartments boast three bedrooms, a kitchen and living area and a bathroom. This 2 bedroom apartment with swimming pool is located in Santa-Maria-Poggio and sleeps 6 people. It has WiFi. The apartment is within walking distance of a beach. This 1 bedroom apartment with swimming pool is located in Santa-Maria-Poggio and sleeps 4 people. It has WiFi. The apartment is within walking distance of a beach. This 2 bedroom house with private pool is located in Santa-Maria-Poggio and sleeps 6 people. It has WiFi, parking nearby and a gym. The house is near a beach. This three bedroom holiday home is situated in Santa-Maria-Poggio, just two minutes from the nearest beach. This beautiful three bedroom villa with private swimming pool is a fantastic choice for a relaxing holiday near the Corsican coast. It boasts a large terrace with private pool and a modern.